Interview with Frank Shattuck | Keikari.com Interview with Frank Shattuck | On classic men's style, elegance and the beautiful life. I became a tailor because it is a craft. I have always worked with my hands. 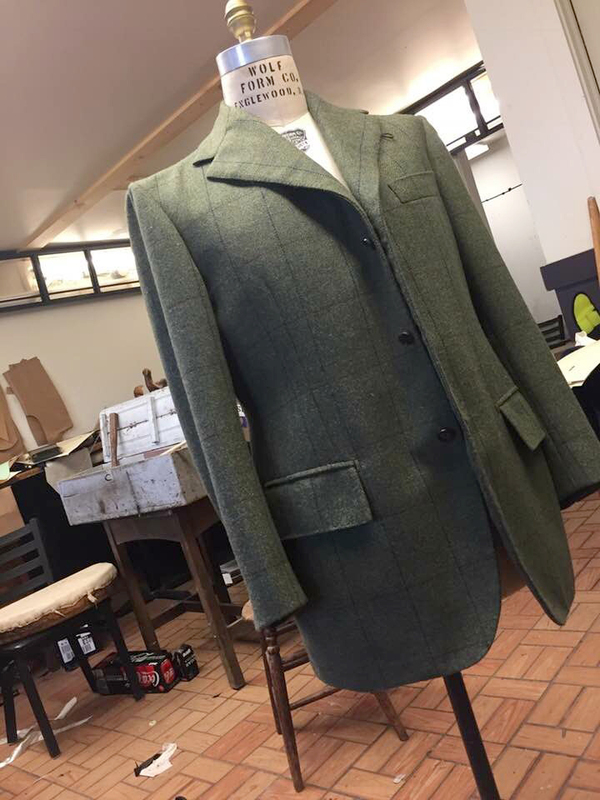 Tailoring is an old, forgotten craft. An ancient craft. 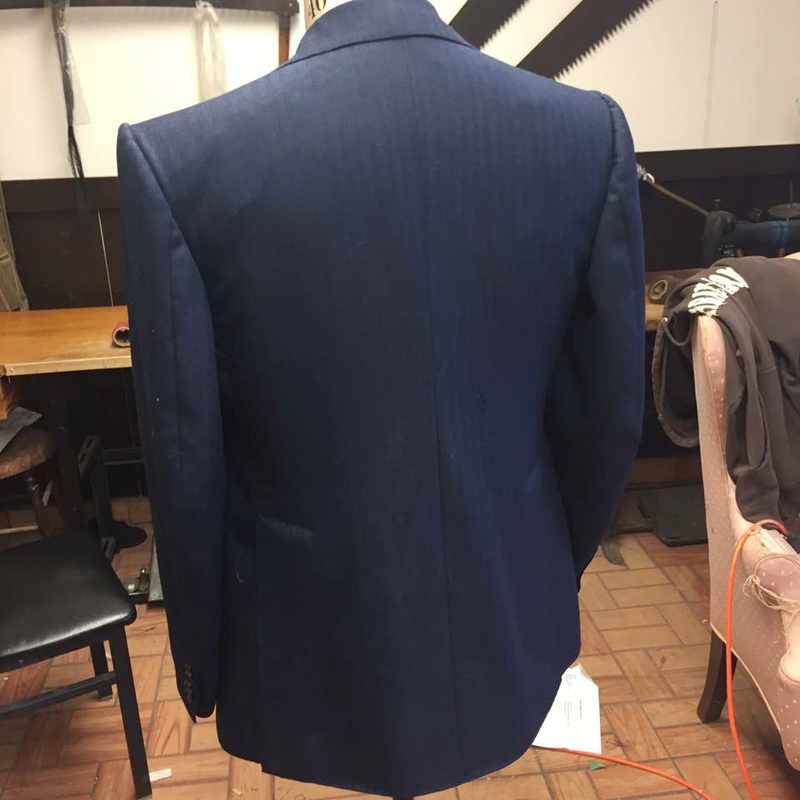 I started tailoring in 1982 with the Cesta Bros, Frank and Carlo, in their dimly lit shop in downtown Syracuse, New York, when it was still a fine town. 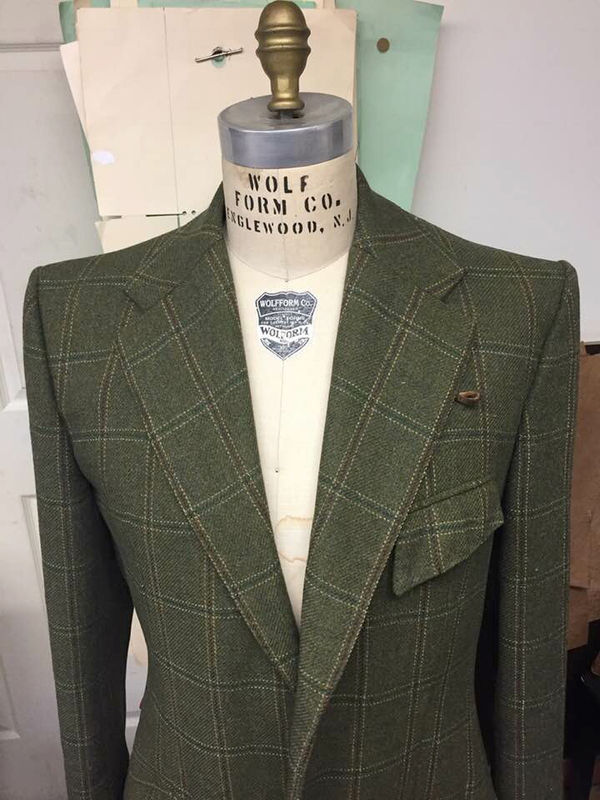 My great grandfather’s patterns were still in the shop. They taught me old world ways. Hand work. Fitting. Pattern manipulation. When they retired I moved to NYC to continue my learning. And that I certainly did. I landed with The Great Raphael Raffealli, who took me under his wings and taught me old old secrets. Toninno “the genius” Christophoro worked for Raphael and took a liking to me, and took time to teach. He worked seven days a week and so did I. Sunday was the day he dedicated only to my learning. They liked me because they loved to laugh and I was a hilarious Irishman. We had a grand time for years. They taught me with love. I know of no other tailor today who knows how to apply a facing by hand. It takes eight hours. It’s the only way I do it. I did a stint with the cantankerous but masterful master Henry Stewart. I learned from him his version The Mitchell System of drafting. He himself had many more secrets than in the book. I was a sponge full of roiling interest and desire to learn all old world methods. All and only. And I did. My hands also learned to know cloth. Good cloth. As only an old tailor can know because he works with it. All of the old cloths are gone. X bought the old houses — H.Lesser, Harrison’s and so on and he ruined them all. I’d love to tighten his neck tie for him. I did not open my first shop until 1997. 15 years after I started. I’d still be working and learning from the old men if they were around. I use vintage cloths for my customers. Cloths worthy of old world ways. When old tailors retired I would buy out their stock. So I have a good store of old cloth. 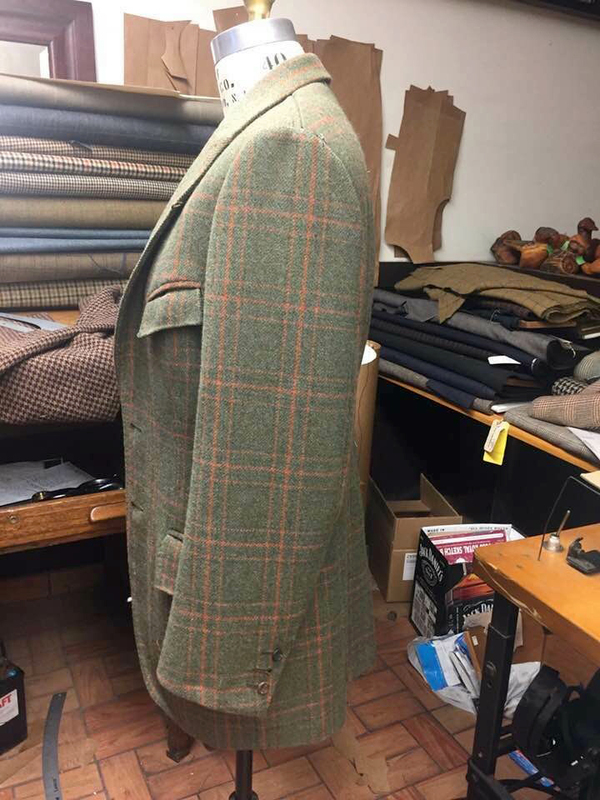 I also have access to a basement full of old thornproof tweed somewhere in Scotland. Ant there are two books I use today for suiting. When I find old blue book H. Lesser I buy it. The blue book are before X bought them out. Old cloths are higher twist. The yarns are twisted tighter. This makes for a “dry” hard, durable cloth that drapes and wrinkles not. Old cloth could easily last for years and years and then be handed down. Not in today’s throwaway world. Get an MTM with crap cloth and toss it in a year. Even the H. Lesser 7-1/2oz draped like a brick. Cloths today wrinkle and pill. Good old cloth is, to me, like rich topsoil to a farmer. 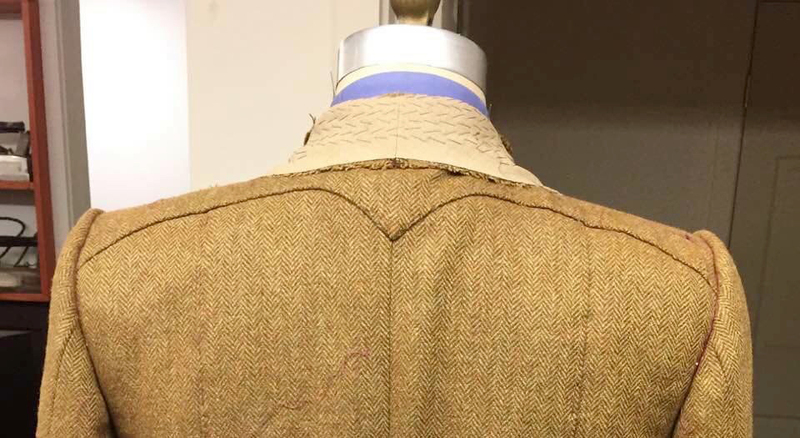 I do all [the cutting, sewing, making] myself because the finished coat is MY pride. MY life is in it. Like a bee makes honey I make suits. I am what I do. I have no house style that I have ever thought about. My style is what happens. 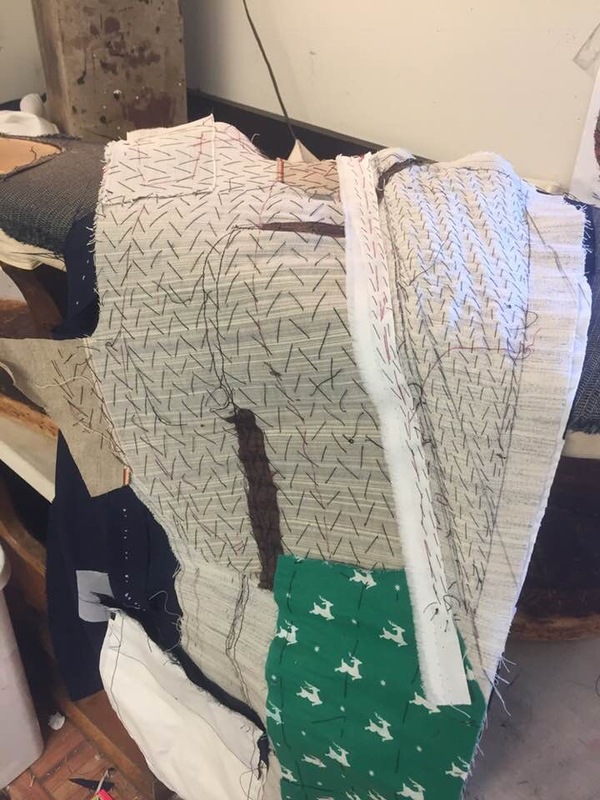 How to make a functional suit along with the lines to make my customer an elegant man. I use the customers structure along with the given lines in my drafts, and I make him a pattern. I use forgotten pattern manipulation. All suits are pleasant surprises for us both. What inspires me is an enthusiastic respectful customer and me making his trust in me pay off for him. I also get inspiration in telling disrespectful customers to go to hell. My definition of style is a well fitted suit, with no style purposefully added, worn by a confident man. I wish more people would realize the the new skinny suit style looks like PeeWee Herman, especially on overweight middle-aged men. I have stumbled upon the most amazing thing. I now do Skype fittings all over the world. 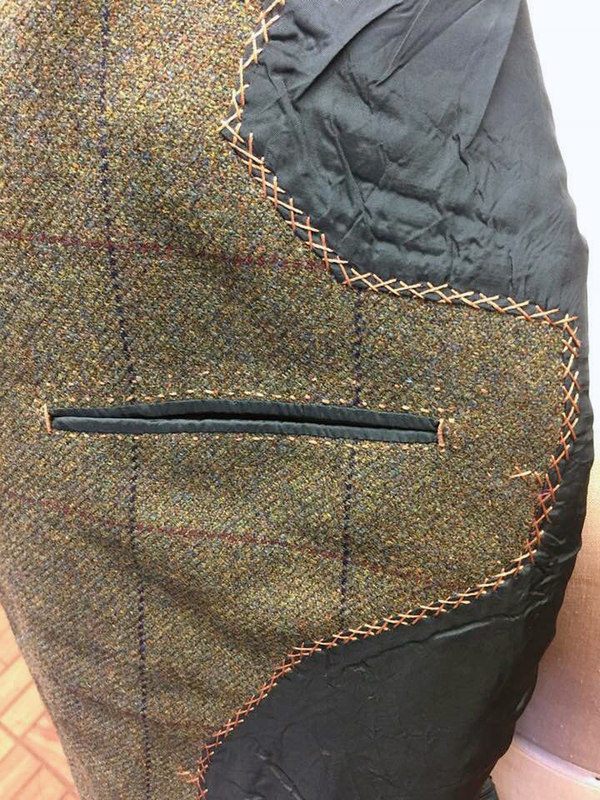 I just finished a stunning suit for a gentleman in London using Skype. He likes it better than his Row tailor’s suit. And it is better. Pattern making is lost. 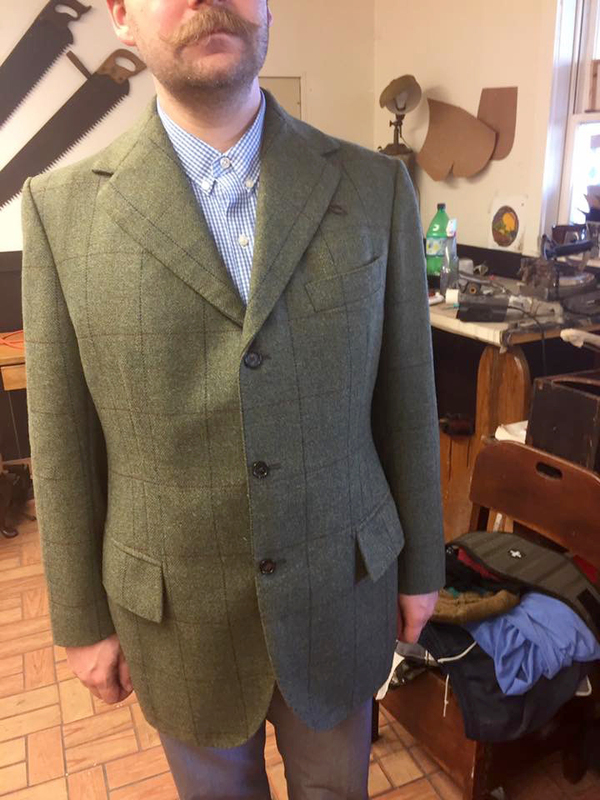 I am also making for a gentleman in Finland. And it’s picking up steam. People want old world ways and hand work. and the feel of a well-fitted, tailored suit. I always have room for new clients. 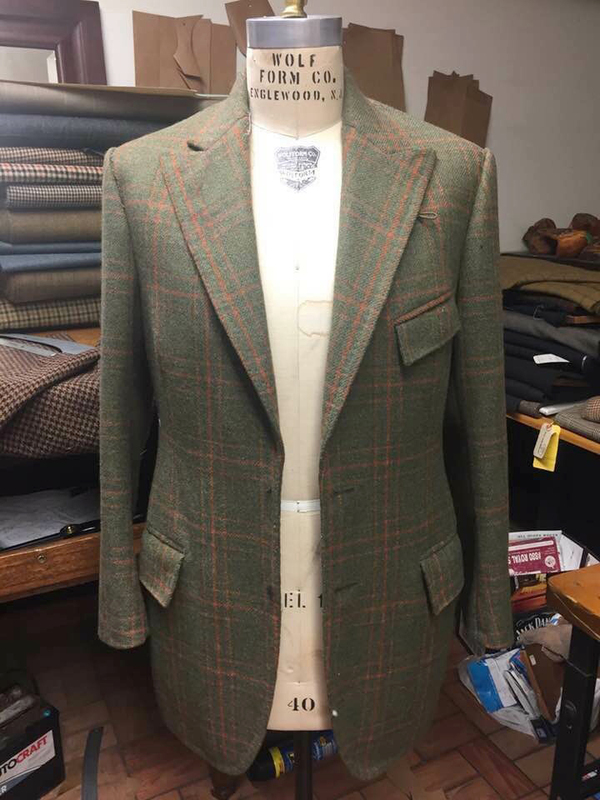 I love it when a new customer goes through the authentic fitting process and they realize that they are part of the suit too. And the feel what a coat and trousers should feel like. I love when, for the first time, they can sit down in their trousers and be comfortable. Mr. Shattuck refers to a customer who commissioned a suit using Skype. 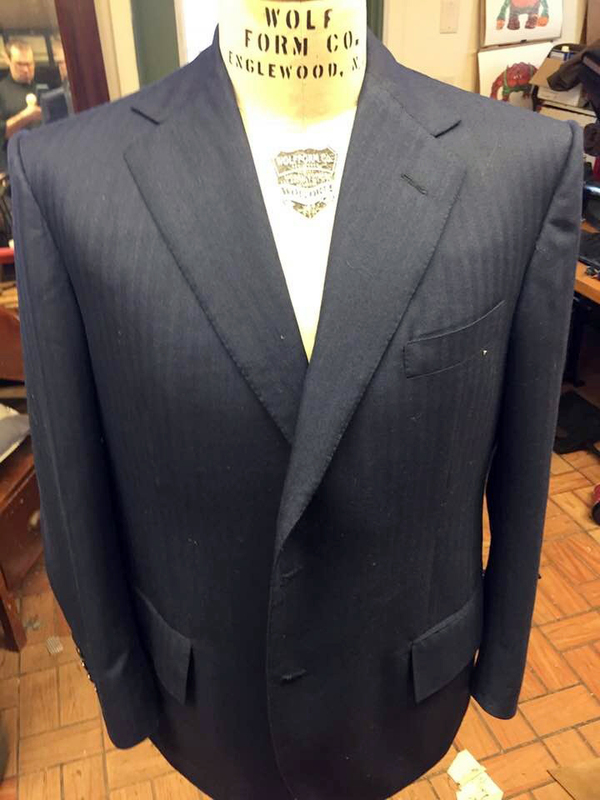 Mr. Shattuck is quoted that the customer “likes it better than “his Row tailor’s suit”. 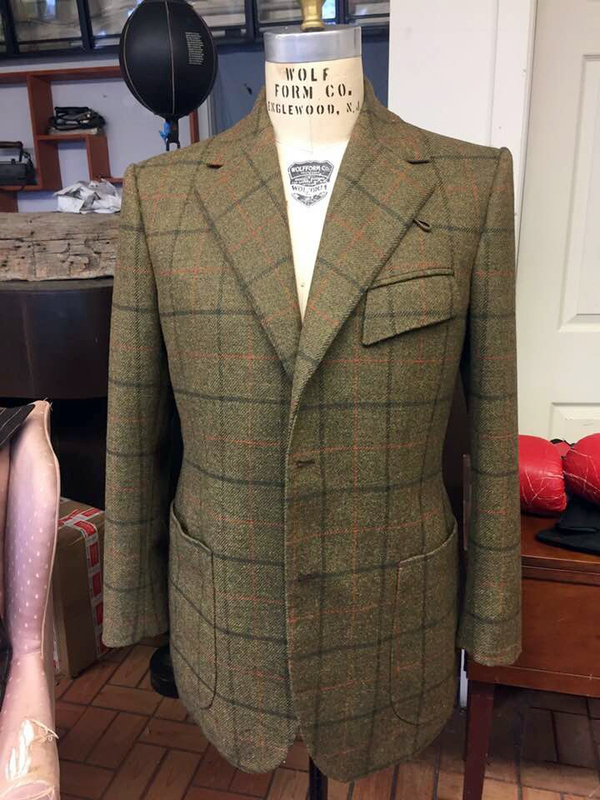 If I remember right from a forum, that customer had ordered a couple of suits from Graham Browne, before contacting Mr. Shattuck. 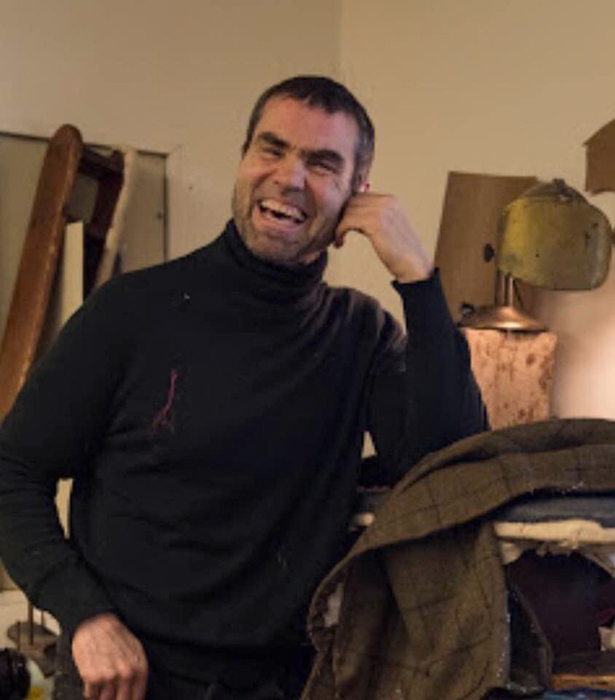 However, Graham Browne is not on Savile Row, he’s a so-called city tailor. A minor detail, but still.